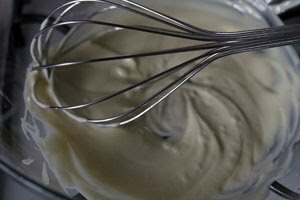 I have never made ice cream before but I have always wanted to try it (although an ice cream maker may have made the whole process somewhat easier) so I thought the Daring Bakers challenge this month was the perfect opportunity to stop procrastinating and start doing. 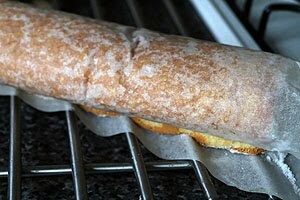 I had never made a swiss roll either although the concept of swill rolls and roulades have always fascinated me. I have a lovely vegetarian cookbook by Simon Rimmer which has recipes for 2 savoury vegetarian roulades that I have never made due to the fact that I do not have a swiss roll tin. AgainI get to thank Sunita and this challenge being the excuse for me to finally go out and buy a swill roll tin, so that now I have successfully completed the swiss roll in the challenge, next stop the roulade! I did enjoy the ice cream making process. It is easier than one would think, besides the elbow grease involved in the churning. My coconut ice cream ended up a bit harder than I thought it should be but I suspect that this is due to the fact that the coconut cream I used is not the same as the sweetened coconut cream used in the American ice cream recipe I was using. It did taste ok however so I can’t complain. 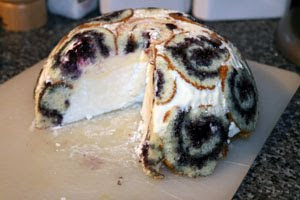 The lime ice cream turned out great and so did the white chocolate/vanilla/almond swiss roll that I filled with blueberry jam, so 2 out of 3 ain’t bad hey? I will definitely be trying the ice cream thing again, as well as savoury roulades, so stay posted for those posts, coming soon here! 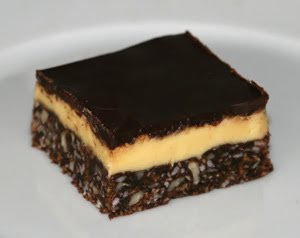 Last night I finished making my Graham Crackers and undertook the construction of the infamous Nanaimo bars. The graham cracker dough was quite unlike anything that I have worked with before. 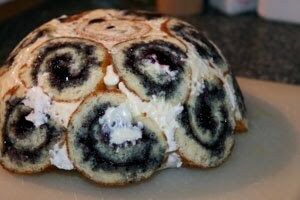 It was very soft but with a crumbly yet sticky tecture. Rather bizarre. So rolling out the dough was an interesting operation, and as I did not have hours to do it and make them all pretty and perfect, I just rolled and cut rather haphazardly. The ones for the bars would have to be blended into crumbs anyway so who really cares about appearance? 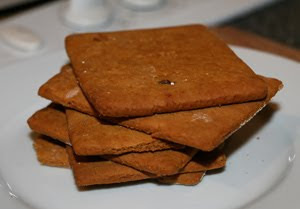 So after being rolled, cut, chilled and then baked for 25 minutes I had Graham Crackers. rather brittle and with a taste that seemed oddly familiar but I could not quite put my finger on what it was that it reminded me of. Once the crackers had cooled I blended up the ugliest of the lot and made the rest of the bars – which was not hard but a lot of work really. Butter, sugar and cocoa powder were melted down to be mixed with the cracker crumbs, coconut and almonds for the base which was pressed into a tin. Then the icing-like middle layer was made up from icing sugar, butter and custard powder then spread over the cracker-base. 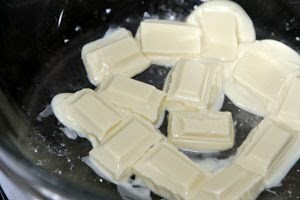 Then chocolate and butter were melted down and poured over the custardy icing layer and the tin went into the fridge to chill until firm. 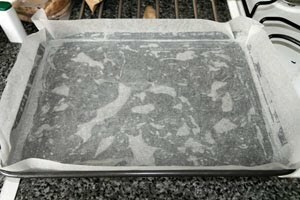 Once sifficiently chilled I managed to remove the slab from the tin without dessimating the chocolate layer too much and then cut it into 4cm x 4cm squares. They are very, very sweet so bigger pieces may induce a sugar-coma in the unsuspecting consumer. I do find it rather a challenge to cut up any bar/square confectionary that is covered in a layer of chocolate. It is not easy to cut it up without cracking the chocolate into a broken and very messy looking surface. A far cry from the smooth clean-edged perfection that I can only hope to achieve. I did attempt to cut it with a hot knife this time to see if it helped, and to a certain extent it did although the chocolate melted a bit too much in some parts and smeared down the nice, clean sides. It is all a learning curve and maybe next time I’ll be able to perfect the technique and end up with crisp, clean edges. This time I did have a couple that looked nice from a certain angle so one of them was my model for the photo. They do not all look like this, believe me. So this weekend I was going to attmept my Tiramisu but we are off to Birmingham tonight to see some friends, so tonight I am making a quick pizza before we hit the road, and then the rest of the weekend I will have to take as it comes. I like surprises so that is not necessarily a bad thing. Yesterday was the typical busy weekday. I was at work until a little after 5pm, then off to the gym for my 45 mins of running and my weights circuit, then home and shower and try to keep myself on my feet for cooking while my legs are feeling decidedly jelly-ish and in real danger of buckling under me while I have a knife in my hand. As I was feeling rather exhausted the plan was simple but tasty. I also needed to start the dough for my Graham Crackers so that I can construct my Nanaimo bars tonight. The dough needs to be chilled overnight so some degree of planning is required. The dough was very simple to get to the chilling stage. Into the food processor with all 3 types of flour (Sweet/glutinous rice flour, Tapioca Starch/Flour and Sorghum Flour), dark brown sugar, Bicarb and salt. 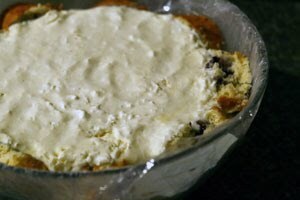 Whizzed it all up and then added cubes of cold butter then as soon as the breadcrumb-like stage is reached, add the milk, vanilla extract and honey until the dough comes together. 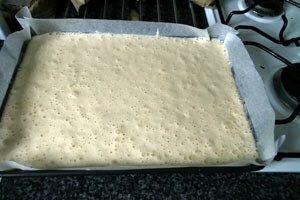 The dough is very soft and will be interesting to roll out, but at the moment it is in a pretty rectangle shape in the fridge awaiting its completion tonight. Once the dough was wrapped up and happy in the fridge, I started with dinner which was an interesting asian-style chicken with jasmine rice and soya beans. The chicken was unbelievable easy and very tasty which I was rather impressed with. The sauce teamed up well with a plain rice and after boiling the soya beans for a couple of minutes I simple seasoned them with sea salt and finely chopped chilli. All in all it was ready in about 20 minutes so for a simple yet tasty weekday dish this one certainly worked for me. bring the above to the boil in a non-stick frying pan, then turn down the heat and add 2 chicken breasts. 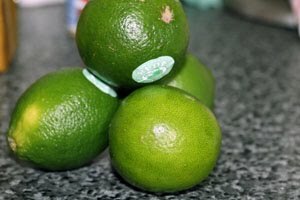 Cook for 4-5 minutes per side or until cooked through and then serve with rice and your choice of veg. Sweet and simple. Or rather salty and simple to be more specific, but I’m sure you know what I mean. So the plan tonight is another chicken dish, I’m still trying to decide what what exactly, I’m thinking chicken breast stuffed with something and wrapped in parma ham, but I’ll see what inspires me tonight.